New Delhi : India looks forward to working with the WHO to build “resilient” health systems especially in developing countries, Health minister J P Nadda said today as he congratulated Tedros Adhanom Ghebreyesus on his election as the Director-General of the global health body. Ghebreyesus, a former Ethiopian minister of health, was elected as the next DG of the World Health Organisation yesterday and he became the first non-medical doctor and the first African tapped to lead the UN health agency. 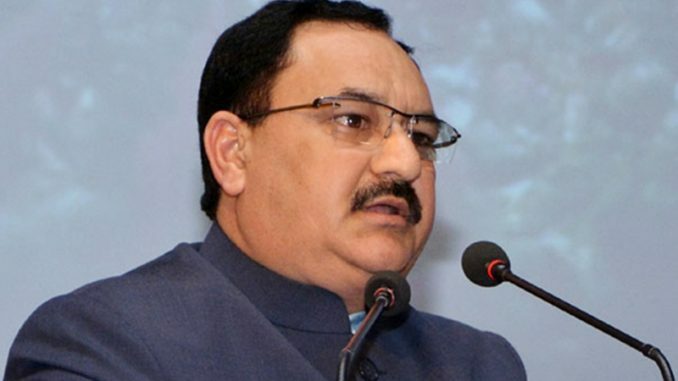 “India looks forward to working with the new Director- General of WHO to build a strong, resilient health system, especially in developing countries, to mitigate any vulnerability to health crisis,” Nadda said. Ghebreyesus was nominated by the Ethiopian government and will begin his five-year term on July 1. Nadda had earlier addressed the plenary meeting of the 70th World Health Assembly at Geneva. The Union health minister spoke on the theme – ‘Advancing the 2030 Agenda for Sustainable Development: building better systems for health’. “India remains committed to ensuring quality and affordable healthcare for all. We have made strategic investments under the National Health Mission and the national disease control programmes. We are committed to further strengthening the health systems,” Nadda said. The minister said that India’s National Health Policy 2017 lays down the roadmap for various milestones and targets. “To translate the policy into affirmative action, we are working with the states, union territories, academicians and development partners. “A National Sustainable Development Goal (SDG-3) taskforce has been set up with representation of key ministries, agencies and experts,” he said. Reiterating the commitment of the Indian government, the health minister said that India is committed to achieving universal health coverage (UHC). He asserted that strengthening of health systems and universal comprehensive primary health care through health and wellness centres has been identified as “non-negotiable” strategies towards UHC. “We plan to achieve more than 90 per cent immunization coverage by 2020. We are rolling out universal population- based screening for common NCDs. “There is more stress on quality improvement in public health service delivery. We plan to provide essential drugs and diagnostics-free of cost in public health facilities,” Nadda said.